“Shutter Island”is a fictional island, off the coast of southern Massachusetts. Chaos ensues for the two U.S. Marshalls as they encounter a web of deceit, a hurricane, and a deadly inmate riot that leaves them trapped on the island. 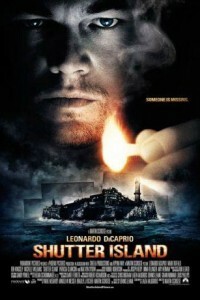 “Shutter Island” is sure to be a contender for a myriad of Oscar nominations in 2011. Not only is “Shutter Island”Oscar winning director Martin Scorsese’s () motion picture, but the film features stars of the highest caliber. If you haven’t read the book “Shutter Island,” read it. Because the ending is as shocking, if not more so, than that of the 1999 movie box office smash “The Sixth Sense.” And going into the movie you’ll want to know what’s going on, or you’ll have to see it twice – to let the ending really sink in. Initially, over a year ago, Paramount Pictures was toying with the idea of renaming the film “Ashcliffe,” thinking, perhaps, people would confuse “Shutter Island” with the 2008 movie Thankfully, for Paramount Pictures, “Shutter” (from a competing studio) bombed at the and there will be no confusion.